Paul Usoro, a man I met in 1998 after NYSC at a point when I was at the crossroad of deciding which path to pursue in my legal career. When it looked like doing things the crooked way paid better, when it looked like hard work was a dullard's option. 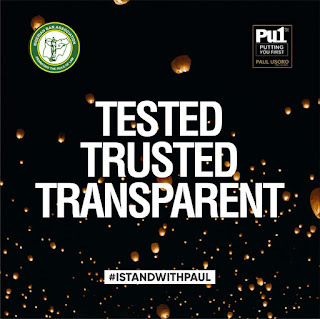 Paul taught me integrity, he embodied hard work and lived it. He taught me to overlook the short term financial advantage some of my colleagues who went into "charge and bail" had over me then, which was really a source of concern to me then, as they earned almost 4 times my initial salary at that point in time. He taught me astuteness and how to remain focused on the big picture notwithstanding the challenging circumstances of the day. I learnt a lot of principles from him, especially humility. He would hesitate making promises when he knows he cannot keep it. I learnt elegant drafting from him. He taught me never to rush into issuing post dated cheques as it is one of the easiest way to ruin the reputation of a lawyer. Paul believes in challenging young lawyers and I remember him challenging me to take a contentious motion against an SAN in my first month of practice, and how joyous I was to get the ruling in favour of our client. He taught me how to separate business from pleasure. Paul has extensive corporate experience having served as a director of many blue chip companies. He has foresight and vision. 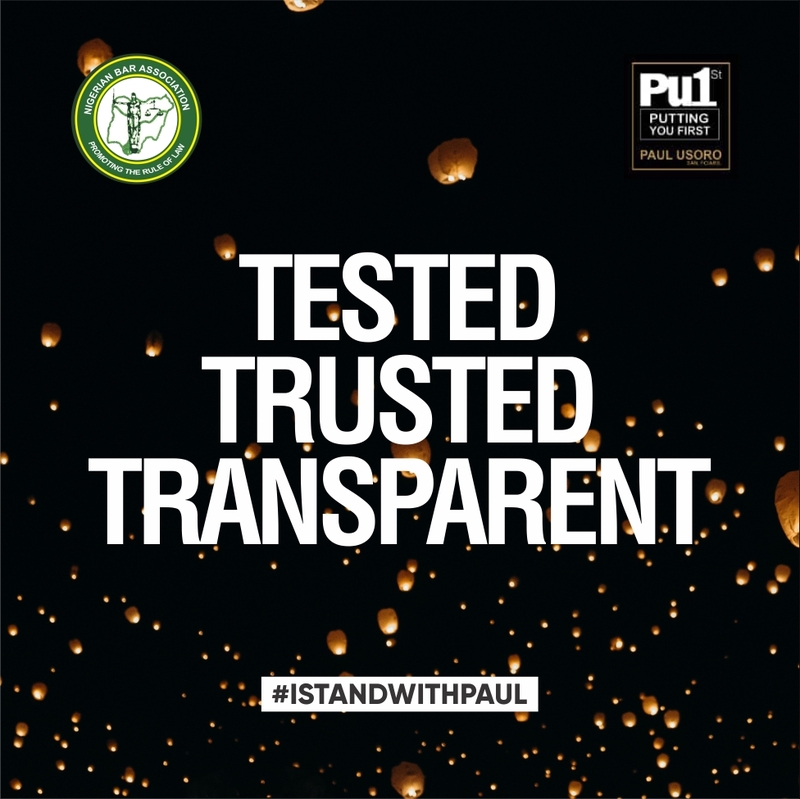 When Nigeria was still sleeping Paul anticipated the telecommunication revolution and positioned himself for the revolution that changed the economic landscape of Nigeria. He is a team player and believes in dialogue. He often told me in those days that if proper dialogue was had, the Nigerian civil war would have been averted. He taught me family values even as I was a bachelor then. Case in point: One day, due to power outage and limited capacity of the generator at the then NIDB House on Broad Street, where his office was, our entire office was only allowed to power two air conditioners on. Of course, the air conditioner in the library must be one of the two, being our production lab. The challenge was which of Paul's office or his wife's office should have the privilege of the 2nd A/C being on. His wife, Mfon, was the managing partner then. Paul invited the technical guy in charge of power allocation in the building into his office, which was already hot, eliciting some sweat from him. He asked the technical guy if it was not possible to give the firm one more A/C slot so his office and that of his wife would be powered. The answer was outright 'No'. So Paul had to make the decision which of the two offices should have the 2nd A/C slot. To our amazement, he chose his wife's office and asked the technical guy to go and connect the wife's office. I looked at him in amazement, and I remember his words to me. "You that you are not married, better be learning how to treat your wife o", he said to me. The real lesson of that encounter was that technical guy ended up connecting his office and that of his wife. I think that sharing my knowledge of Paul Usoro, SAN, and my experience of working with him in this era of political blackmailing, is a duty I owe my conscience. I have no doubt that all the candidates for the office of NBA President appear to be qualified in their own right, but Paul obviously is the most qualified. Vote wisely!